Reserve Bank of India (RBI) has published Advertisement for below mentioned Posts 2017. Other details like age limit, educational qualification, selection process, application fee and how to apply are given below. The number of positions reserved are likely to undergo change. # Candidates belonging to OBC category but coming in the 'Creamy Layer' are not entitled to OBC reservation. They should indicate their category as 'General (GEN)’. $ No vacancies are reserved for PWD candidates. However, PWD candidates belonging to any of the three categories of the disability may apply for these posts, subject to their suitability for these posts. Persons with Disability may belong to any category - GEN/SC/ST/OBC. Educational Qualification (to be completed as on 01/11/2017): Ph.D. in areas of Economics or Finance from reputed universities (Indian or Foreign) is the minimum required educational qualification. The Bank will also look at those with interest and expertise in related areas in econometrics, computational and theoretical economics. High-quality research potential and communication skills of international standards are essential. Age Limit: (as on 01/11/2017): The applicant should be below 34 years of age. (For relaxation in upper age, please refer to Para 3-I below). Pay scale: Selected Candidates will draw a basic pay of Rs.42,150/- p.m. (four advance increments to candidates in the basic pay) in the scale of Rs.35150-1750(9)-50900-EB-1750(2)-54400-2000(4)-62400 applicable to Officers in Grade ‘B’. They will also be eligible for Dearness Allowance, Local Compensatory Allowance, House Rent Allowance, Special Allowance, and Grade Allowance as per rules in force from time to time. At present, initial monthly Gross emoluments are approximately Rs.82,745/-. * Bank/Transaction charges are to be borne by the candidate. 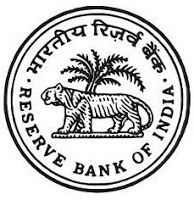 @ Fee/Intimation charges waiver is only for those employees of RBI (Staff Candidates) who satisfy the eligibility criteria separately stipulated by the Bank vide its circular CO. HRMD. No. G-75/ 5599/ 05.01.01/ 2013-2014 dated December 20, 2013. Their status as staff candidate will be verified at the time of interview. In case they are not eligible to be treated as staff candidates (in terms of above referred HRMD circular), they are advised to indicate themselves as non-staff candidates and pay fees/ intimation charges as applicable to non-staff candidates. Selection Process: Selection will be through interview only. A preliminary screening of the applications will be carried out for making, if necessary, a short-list of eligible candidates to be called for the interview/s. Preliminary interview of shortlisted candidates will be carried out by the Screening Committee. If required, candidates will further be shortlisted for the second interview. Final selection will be made in the second round of interview.